By Peter Anderson 63 Comments - The content of this website often contains affiliate links and I may be compensated if you buy through those links (at no cost to you!). Learn more about how we make money. Last edited December 13, 2018 . A couple of weeks ago I wrote a post talking about a couple of ways that people could reduce their spending on their wireless phone bill, or on their mobile data usage. I talked about a couple of services that I had considered signing up for that were both potentially free. One was a cell service provider that when you shared the service with friends and they signed up, you would get money off on your bill for as long as your friends used the service. Potentially you could end up making money as well. The other service that I mentioned was a 3G/4G wireless data provider called FreedomPop. Basically with FreedomPop you are able to get 500MB of free 4G data every month, all you have to do is sign up for the service and put down a refundable deposit on one of their wireless hotspots. After writing about the service I was pretty intrigued, and when my month of service with my Virgin Mobile hotspot ran out, I jumped in and signed up for FreedomPop. So today I thought I would give a quick review of FreedomPop, talking about what the service is, why it's such a great deal and how it could potentially save you a lot of money. FreedomPop provides disruptive mobile services including the world's first 100% free mobile plan so that no one is left off the “connected grid.” Founded in 2012, FreedomPop is rewriting the rules of the global telecoms industry accelerating the convergence of Internet models and technology with traditional Telecom. It has closed more than $109 million in funding from Intel Capital, DCM, Mangrove Capital, Partech, Axiata and Skype Founder Niklas Zennstom's Atomico. In addition to free mobile service, the company offers a suite of devices, digital services, and innovative social sharing allowing users to share data across accounts. Services are currently available in the U.S. and U.K., with plans to expand to a dozen more countries this year. 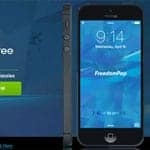 While their free service is the thing everyone trumpets, you can also sign up for premium packages with FreedomPop, which are all at rates much lower than traditional competitors. They are available in both the U.S. and more recently the U.K. Signing up for a FreedomPop data hotspot was extremely easy. You just go to their site, enter your zip code and email address, and then it will tell you if they have service in your area. Luckily for me they had it available in the Twin Cities. From there you'll be taken to a page where you choose what plan you'd like to sign up for. All of their plans are month to month, and you can cancel at any time. The free option, which I signed up for, offers you 500MB of free 4G data (4G only) every month, but honestly, you can get much more free data than that if you engage on their site. More about that later. When you choose the free plan you'll also be offered a $2.99/month “FreedomPop Speed Plus” option, that will guarantee no speed throttling and consistent upload/download speeds. If you want a truly free service, you can skip this. So you have quite a few options of the types of 4G mobile hotspots that you can get, and when I checked they range in price from $39.99 up to $129.99 depending on which one you're looking at. After choosing your device you'll enter your credit card and shipping information and you're done. The device you choose will be shipped out by FedEx. NOTE: By default your new account will be set to auto charge your linked credit card once you get within 100MB of your alloted data amount. You can disable that feature if you want in your billing settings. I did. Freedompop now has cell service with a wide range of phones from the newest Samsung Galaxy and iPhones to lower end phones that won't cost as much. Calling plans run the range from 100% free mobile calling to premium plans with many GBs of data. Family calling plans are also available now, with anywhere from 1GB of shared data for free and only $5 per line, all the way up to 25GB of shared data for $159.99/month. Worth checking out if you've got a large family! I received my first mobile hotspot about 4 days after I placed my order. I was excited to give it a try, here's a quick video showing the unboxing of my Photon hotspot. As you can see from the video the hotspot comes in a nice box that includes the hotspot, a quick start guide, a USB cable and a AC adapter for charging. It's a tiny little device, so small that I forget that I have it in my pocket at times. I've been using my device for a week or so, and so far the results have been very good. I live in an outer ring suburb of Minneapolis, and according to their site I should have 4G coverage in my neighborhood. So far I've gotten a decent signal there, however, when you get just a couple miles closer to the inner ring suburbs, however, I get a crystal clear 4G signal. The closer to Minneapolis/St. Paul I get, the better the signal is. So all in all the speeds are pretty good. They're comparable to the speeds I was getting on the Virgin Mobile 4G hotspot, and since my home DSL connection stinks, it's actually faster than that connection. The bottom line is this. When I get a 4G signal, the hotspot works great, and even at 3G speeds it's not too bad! Not bad for a free service! When you signup for the free plan you only get 500MB of free data. For a low user of mobile data like myself – someone who mainly checks email and my sites when I'm on the go – that may be enough data for the month. If you like doing other things though, like streaming audio and video, that may not be enough data. While you can purchase extra data for .02 cents/MB when you're on the free plan, there is another way to get more data without paying. When you sign up for the service they'll give you the option to connect with friends and people you know, they call it Freedom Friends. You can login to your email and have it check your contacts to see if anyone else you know is using the service as well. If they are, you can connect with them, and each of you will get an extra 10MB of data a month. If people aren't, you can invite them. I've connected with a bunch of other people and get an extra 500MB of data every month because of it. NOTE: Want to connect with me and get free data? Send me an email through the contact page with your FreedomPop email, and I'll send you an invite to connect and we can both get free data! You can also get free data for your account by completing offers, taking surveys, downloading software and more on the FreedomPop site. The offers range from pay for services like Netflix and FreeCreditReport.com, to free email newsletters and games. If you're going to do this I suggest signing up for a free email account from Gmail or Hotmail to use on the offers. I've gone in and actually completed enough of the free offers at this point to earn an extra 391MB of data for my first month on the service. So that means my first month I'll have over 900MB of data for free! I've been using the FreedomPop service only for a short time, but so far I've been impressed. When I'm in a 4G area the speeds for both uploads and downloads are very good, and you can't beat the price. Not only can you get 500MB of free data, but if you connect with friends and complete offers you can end up with tons of extra data every month. Now that they've added 3G service as a backup for only $3.99/month, it's even better. Using their service can be a great way for people to cut back on their monthly wireless cell phone bills. Why pay for extra data with your plan when you can supplement your cell plan with FreedomPop? Scale down to a cheaper plan, and use a hotspot for surfing while you're on the go. 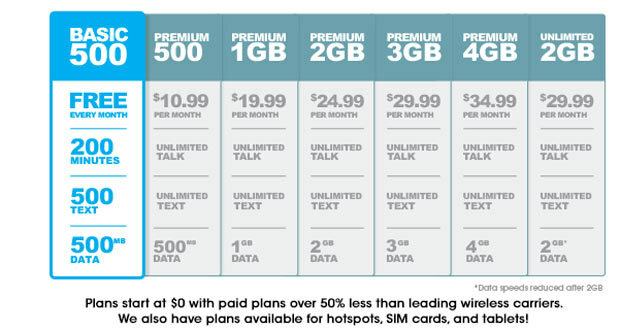 Better yet, get a pre-paid cell phone with no data, and use this as your data plan like I do! Or you can buy a non-activated Android phone and use a free voice calls solution using Google Voice + GrooVeIP + free Wi-Fi and 4G data from FreedomPop ! It will end up saving you hundreds of dollars in the long run, possibly even in the short term if your plan is expensive enough! Have you tried FreedomPop, or have questions about the service? Tell us in the comments! I’ve had FreedomPop now for about a week (btw, email me and we can connect on FP for more data!). I am also finding holes in my service as I get close to home. It appears to be 4G *only* and will not pick up 3G. That’s fine, I just turn it off while at home (and even in the office) as I have WiFi in those locations. Really great to turn an old iPhone 3G without SIM card into a really useful device on the go. I also have a couple of old Android phones that are going to be without cell service. With google voice and GrooVe IP app, they become phones in the FreedomPop network. Pretty cool. I sent a Freedom Friend request to your email – sent it to both, not sure which you’re using. Yeah, since the hotspot is 4G only, that does mean no 3G service – which is something my Virgin hotspot had as a failover. That is a downside, but since most of the areas I use it in are 4G, it’s not a huge one. I’d like to hear more about how you use the GrooVe IP app to get the phone service. I’m sure it’s similar to what I’m doing through the linked page above, but would be interested to hear. Sipdroid just looked too confusing to set up. GrooVe IP uses Google Talk to do the voip. You just log into your Google Account in the App, and you can make and receive calls. I have two 8 year old boys that would love to have a phone. I would not love to pay for them having a phone. We are getting free phones (no contract, really free phones) to replace our old Android phones, which will then be disabled on the cell network. We are going to give them to our boys. They can use them as phones anywhere there is WiFi, including FreedomPop. I just downloaded the GrooVe IP app that you mentioned (there’s a free lite version too) and set it up after I realized my Sipdroid setup wasn’t working anymore (not sure why). It was actually easier to setup and use than Sipdroid. I think I may recommend people use that in conjunction with Google Voice instead. Thanks for the recommendation! This is great Peter. I will definitely check it out. This will allow me to take my data plan on Verizon down to the minimum. And it will be nice not to have to worry about finding a hot spot for my iPad or Laptop. There seems to be no reason not to get it. Only reason not to get it might be because you don’t want to pay the $99 deposit on the hotspot. But even that gets paid back in a month or two just through using the device. Nice review, I am probably going to get this when it becomes available in my area. 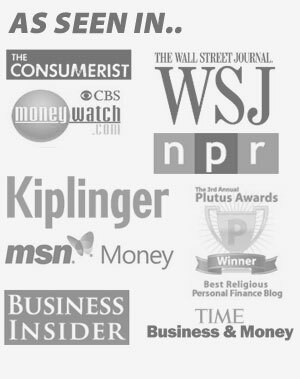 I featured your article on the Frugal News Review podcast episode 19. Bought this from freedompop directly. Charged $95.99. After purchasing I noticed the hidden charges in fine print and decided to return. Returned the unopened package. Refunded only $80.75. If anybody is looking for cheap internet for occasional use without any hidden charges and better coverage through Sprint network try ‘Internet on the go’ available through walmart. I’m not sure what hidden charges you’re referring to? I’ve been using FreedomPop for several months now and I’ve never paid more than the initial purchase price for the hotspot? Also, that “internet on the go” product you mention is still a pay-for service, with 1GB of data on a 30 day plan costing $10, versus free for me on FreedomPop after adding friends. That’s not going to blow the budget, but still not free like FreedomPop. Just got my Freedom Stick and it works fine. Lets both get some more data! I just sent you an invite so you can get free data. I’m already maxed out on the free data at 1GB per month, but hopefully this will get you started. Good luck! Do they have a fee for not using the device for one month? Has anyone been charged ongoing fees for the basic free service? Do you get to keep your 10mb/friend every month, or just the month you connected with them? If you keep the extra Mb every subsequent month, what is the max? Any reviews for the freedompop EVO phone? Any 911 fees? Please review this phone service! I believe if you don’t use the device there is an inactivity fee of some sort. I haven’t been charged because I use my device every month. It’s all included in the terms when you sign up. I have not paid any ongoing fees for the free service. Only time I have paid is when I had a month where I used over my alloted free data amount. You get the 10MB per friend every month. I was able to get 500MB extra, for a total of 1GB data for free. I just did a basic review of the FreedomPop Freedom PHone this past week here: FreedomPop Phone. I’m still trying to see if I can get a review phone from FreedomPop as I know my readers would love to hear how the service works. Thanks! What happens if you order this and I don’t work? Can I return for a full refund? Is there a trial period to make sure its going to work? I believe there is a 30 day return period. Your best bet is to read the terms when signing up since I’m not 100% sure what the terms are now. I don’t have the MiFi myself, but if you go to the FreedomPop site and click on the “coverage” link at the bottom of the page, you can see what kind of coverage they have in your neck of the woods out in Maine. I believe the data plan will be the same 500MB free, and then paid plans from there. Good luck! 500 mb is a very very small amount of data. That’s less than half a gigabyte. You wouldn’t be able to stream anything at all or you’d waste all that data is minutes. This does not seem suitable for a lot of peoples needs. I personally do not stream a lot of movies or video while I’m on the go. I usually do that when I’m at home on my regular wi-fi. So if you’re a high user of online video, it probably won’t be enough for you. They do have plans, however, that you can add additional data to your service if you need to. Also, don’t forget to get extra data by connecting with other users.. I use it during my commute to offset data charges (since I’m mostly around wifi when not commuting). I’ve also referred enough people to get 1GB. You get 1 GB of data free when using the hub burst, stick and mifi. The mobile cell phones get 500 mb free and 200 talk and unlimited text. Im having trouble figuring out whether the stick uses up data faster than the hub burst does. I went through 1.5 GB in 4 days just reading news and emails and my son watches an hours worth of youtube videos each day. If it helps to know my computer only gets a 3G signal. The data goes really fast with the stick/bolt. Does anyone know if the hub burst takes up the same data with a 3G signal? Your son watching an hours worth of YouTube videos a day is likely what is causing the data to add up so quick, not reading news and emails. Video is data intensive, so no matter which device you’re using, the data usage will likely be about the same. It’s about the content you’re consuming that’s taking up so much data – not the device. Good luck! I’m sorry to inform you that Freedom Pop isn’t all that It seems to be. I was having problems with T-Mobile and went online to find another company. I pulled up (low income programs in Georgia cellphones / internet). See I receive SSI ($733.00 a month), Medicaid, Section 8 and was getting Food Stamps ($70.00 but I lost them because all this), so you can see I can’t afford very much and sent my car broke down I depend a lot on the internet even more that the governments programs are all done online these days. Anyways, Sept. 30, 2014 about 8:30pm. I came across Freedom Pop and called them up. I told the lady how I came across their website by way of low income programs website along with what happen with T-Mobile. She was very nice and helped me set up my order that cost me $39.99 with a free Hotspot. Well it arrived Oct. 17 and couldn’t get it turned on until Oct. 20. I thought everything was fine until I went online on Oct. 31 to see if my check was posted yet. It was but there was $140.00 missing. Freedom Pop told me while we where setting up everything Sept. 30 that my first 30 days was going to be free. Remember the Hotspot was turned on Oct. 20. So on Sept. 30, 2014 Freedom Pop took $39.99 Sept. 30-Oct. 30 monthly service, Oct 25 $10.00 top-up, Oct. 26 $10.00 top-up, Oct. 27 $10.00 top-up, Oct. 29 $10.00 top-up, Oct. 30-Nov. 30 $29.98 monthly service. It took me a few days to get a hold of someone from Freedom Pop, by this time Freedom Pop had charged my account $40.00 in top-ups ( your only aloud 3 top-ups every 30 days not 4) and $29.98 for service with no pro-rates. Now I didn’t get my free 30 days that I was told. So at this time Freedom Pop took a total of $109.88 ( this isn’t counting $80.00 in bank fees). On Nov. 10, I got a ride to my bank to ask them about Freedom Pop they told me to close the account down. I came home and did so along with taking the battery back out of the Hotspot that I couldn’t get support to help me with. The last time I was using the Hotspot was Nov. 7 and the account was closed Nov. 10, 2014. Freedom Pop and I talked on Nov. 10 and I told them that I had gone to my bank and informed them that Freedom Pop didn’t have any rights to enter into my account and showed the bank manager the website and was told to take legal action against Freedom Pop if they don’t return the extra money that was removed. I just found out not only did Freedom Pop remove more money from my account but the account I closed down on Nov. 10, 2014, but it was open back up with my debit card information. Freedom Pop took Nov. 30- Dec.30 $29.89 monthly service, Nov. 30 $1.99 top-up and Dec. 30- Jan. 30 $29.98. Like I said I closed the account Nov. 10, 2014. From Sept. 30, 2014 to Jan.7, 2015 Freedom Pop got a total of $171.74. Like Freedom Pop say when they do answer their phone ( Internet is a right not a privilege). I will be taking legal action and turning over all my account information over to the Better Business Bureau. I have always worked hard labor jobs and was in the upper middle class till I got hurt and then fell sick. It is hard enough to go from that life style to getting on government assisted and having companies take what little I have left. I purchased the Freedom ‘hub’ for about $100.00 w/shipping. I unpacked it and traded it for my AT&T router with ‘Uverse’. I had AT&T’s fastest speed, so I was thinking I wonder how slow the Freedompop (using Sprint) will be? After having it for four months now I can say it is every bit as fast and I have never experienced any outages or any problems with it whatsoever. I have great Sprint coverage where I live as the hub has 5 lights for strength and all five are always lit. The cost was $18.99/mo, which they just increased to $21.99/mo. The only downside is it is for 10GB of data. After that you are done. 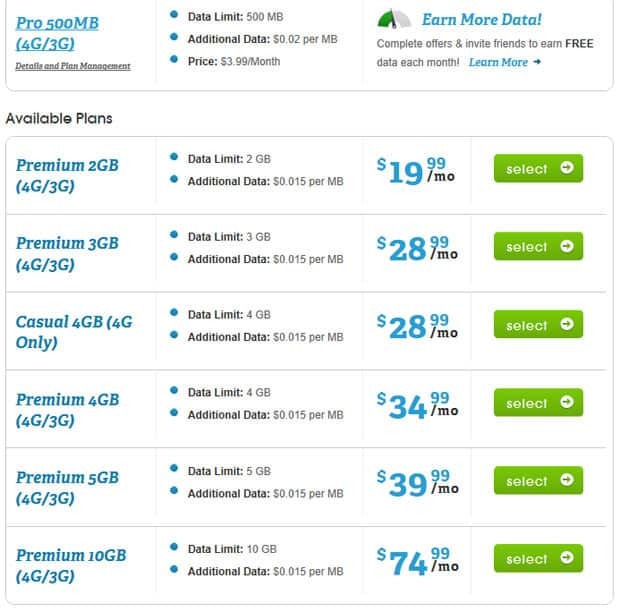 You can buy more but it is very costly, I believe 5GB more is about $17. I realize you posted this nearly three years ago so I’m wondering if you’re still using FreedomPop. If so, has it improved? If not, why not and what service did you change to? I’m with the dreaded Comcast/Xfinity and I would love to “cut the cord” but I’m need to know I’m replacing it with at least level quality and, hopefully, a lower price. Joy, I still have an account with FreedomPop, but I’m not currently using it.I’ve been given service with another provider for free to test out as well, and I’m currently using that. I’m sure it’s gotten better from when I was using it as there are more and better phones available now, and I’m sure some of the bugs have been worked out. It will likely depend on how Sprint service is in your area, among other things. Any hint as to when you will be posting your review for the device that you are now testing? Review & Unboxing of the Phone & Why we switched here. By the way, I do still use my FreedomPop Overdrive Pro hotspot every day for mobile internet access. Don’t support this deceptive business! I order a “hot spot” device from Freedom Pop last year. The instructions were totally inadequate and the website isn’t helpful at all. Finding a customer service number on the website took quite a lot of digging. I was never able to use the hot spot. For the past 18 months I’ve been consistently overcharged for services I never signed up for. I was being charged for “premiere service” which is apparently a “Value Added Service” which is not disclosed as part of my “free” plan. This charge was carefully hidden under another tab marked “services.” I’ve been overcharged a total of $167 but they are only willing to refund $20. This is the worst company in the world that I have ever dealt with. I bought a phone from them on May 19th 2015 and as of Oct 2015 I still don’t have a working phone. I have been on the phone with customer support over 20 times and sent well over 75 emails. After 3 months they finally admitted that they sent me the wrong phone and I sent it back and still have not received a replacement or a refund. I receive no reply for my inquires. I have reported them to BBB and still nothing. I guess I’ll have to sue them. Yes freedompop is fine as long as your device keeps working, as it uses sprint network. The big problem for freedompop for me is that your device can stop working at any time and customer support will not help you. I had two freedompop devices stop working all of sudden, and no matter how many times I contacted customer support, they could not/ would not help me. So enjoy the free data, as long as they don’t disable your device. I guess that’s the only way to make “free data” work. They will turn your “free data” device off after a while if you are not giving them money. Peter,I use Tracfone, am very pleased with it. Am on my 4th or 5th ‘phone. (all upgrades as the whole spectrum changes rapidly) Currently using LGL39c,buy airtime and minutes cards locally, I buy the 1 yr.card w/ 400 minutes, with this ‘phone the airtime, data and texts are automatically tripled. The service is linked to my laptop. The card costs app.$ 100,dividing that amt. by 12 ( 1 yr.) my cost is abt. $ 8.I know this service is not for everyone, it works great for me. My wife uses the same setup. Thanks and god Bless You for your service to others!!!! I’ve had FreedomPop for the past 3 weeks, and took it out for a test drive on the road. I am SUPER impressed with the speed and quality of the connections. I was using a TMobile datastick for years, and this is MUCH faster, and a much better connection. And good God, it’s practically free, instead of $20/month from TMobile. So I can highly recommend. Honestly, my speeds felt easily as fast as my high speed Comcast cable connections at home, even though people say this is slow. It’s perfectly fast enough for anything people might need to do on the road. I worked a solid 3 hours on the road: uploaded large PDF files by email, did some web updates, did some web research, and worked without pause, and used only about 80 mB of the 500 mB of data. Honestly, the only downside of this wonderful service So allow for a little bit of time on that end. But when I called, they walked me through perfectly. And since then, it’s worked 100% of the time I’ve needed it, wherever I’ve needed it – in all sorts of places between the San Francisco Bay Area and Denver. We’ll be taking it on the road wherever we travel, and we travel often. I;m sorry I didn’t do this sooner – but I just couldn’t quite believe it. And I read a number of negative reviews. I’m a careful tech user – and I can give this 5 stars. Well worth trying if you are on the fence. And you have a 30 day money back guarantee on the device. What’s to lose? Thank you for the review; it has helped a lot. I ordered my new phone to give to my daughter for her birthday and she will be thrilled. I have a question though. If I complete the connect with friends and/or survey, do I get free data for that month or every month from that point on? This is absolutely the worst company I have ever dealt with! They screwed up the shipment and say it’s not their fault, but as of 45 days after I ordered nothing has been delivered, they will not contact you, I have spent 4 hours on the phone trying to get what I have paid for. They have billed me twice for something they have not delivered and won’t do anything to correct their mistake. Their call center does nothing but repeat over and over that they “understand”. I have asked repeatedly to just refund my money so I can get them out of my life, but I’m still on hold with nothing being done. I started an account with Freedom Pop in August. I find the company to be quite a let-down. When signing up, I enrolled in the free service that came with purchasing the stick (4g). I found out my neighborhood doesn’t get 4g service, only 3g. So, I signed up for 500mb/mo at $3.99/mo. No big deal. But, even only checking emails for about 7 days wore that down quite quickly so I decided to go with another internet company, but downgraded my service to the free 4g plan as they recommended. For some reason, they sent me two devices even though I purchased one, which I threw in the corner thinking it was amistake. When I canceled my service, they had signed me up for service on both devices, and so I noticed in Nov that not only had I been charged the monthly fee twice in Nov, but I had also been charged every month since for that device, even though I never asked for service on 2 devices. When I called to have the charges removed, and they explained this was because they activate both units when I called to add service, I had to be aggressive with the person on the phone and she was insistent that I had done something wrong. After I asserted that I never agreed to add service to 2 devices, she refunded me but told me I could not get a refund if I canceled my service. So, not only did the lady try to trick me into thinking it was my fault and I had done something wrong, she then tried to imply that my right to money they took without my consent was only valid if I stayed with the company. She was obviously trained to trick customers, and it is unfortunate that someone has to work for a company that makes its money by tricking people into paying them for service they aren’t using. I don’t know how a person can feel good about themselves doing that to others. If something looks too good to be true, it usually is. We ordered two phones and plans from FreedomPop. Phone 1: Was obviously a referb as there was old adhesive still on the back. Once we received the phone, it took two weeks and multiple phone calls to get FP to make the phone operational. It would work only if there was wifi. Finally got it turned on, but service is spotty. Not a great option for business. Customer service must be outsourced to India as all reps have very thick accents and are difficult to understand. Sometimes the connection will cut in and out depending on which rep you are talking to. Sometimes the rep is in a very noisy area with other reps talking loudly right beside them. Plan on spending 30-45 minutes with each call as the wait times are long and there are multiple transfers. You get what you pay for with this service. Sorry to hear about your experience. I haven’t been using their cell service for a while now, although I still use their hotspot without any issues. It definitely sounds like in your situation you got a bad phone and some sub-standard customer service. OH AND it was NOT a bad phone. IT was CRAP service! I now know that since switching back to net10! yippee! Can I download movies on Netflix to my TV with a mobile hotspot? Ordered a internet USB dongle from FreedomPop. The shipping took one month, and the device that I received doesn’t connect to internet. Customer support just doesn’t exist. Waste of time and money. Stay away. This is a horrible carrier, it doesn’t work. They keep on charging you for no reason, it is not free! It is a trevesty to mention Freedompop anywhere near the word Bible! Freedompop is a company from hell! Freedompop scam needs to be reported to Attorney General of California. Fraudulent charges, false claims, inferior service, complete lack of support. This is an abomination of a cell phone provider. It is a cell phone provider from hell. It’s fine to vent here, but the Attorney General of California needs to be contacted with your pertinent information. This horrid company sold me a “refurbished” iphone with a 30 day money back guarantee, and battery was 79% depleted. Within 2 days I complained and requested a refund. They assured me that a good-working replacement iphone with a good battery would be shipped. The replacement was worse than the original. After many, many emails I finally received an email acknowledgement that I was entitled to a refund, and that a prepaid return would be issued. After returning the phone I was informed that the length of time had elapsed and they would not issue a refund. So, they have the phone, and I have nothing. To add insult to injury, they proceeded to charge my credit card for a year’s service, months after I made the return. Not only do I not have a phone but there is no phone number associated with my account. I have hundreds of emails from FreedomPoop, many of which contradict previous ones. This company is clueless where it pertains to cell phones or the public. They offered a free money-back trial, and end up with the phone back in their possession to resell to the next unsuspecting consumer. They do not answer their phones, and do not respond to email. This is a company that should be avoided at all costs. Sorry to hear your experience. Obviously my experience wasn’t nearly this bad, I’m still using my FreedomPop hotspot with no issues. Best of luck in getting your issue resolved. I found FreedomPop to be unreliable when I needed it the most. I was constantly missing calls and when I needed to call out, if I was not on my own Wi-Fi, my Galaxy S7 would only rarely dial out on the first try. 4G was sporadic. When I needed it the most, it was not available. I was charged for unintended extras. As I write this review, I want to port my number away from FreedomPop to another service provider. The FreedomPop.com website FALSLY STATES that both the “PIN & account number” required to port a number out are available at the website, under the accounts settings section, clicking “edit”. However, it is nowhere to be found on their website. To my surprise, I found that literally hundreds of other people were complaining about this same problem. Why on earth didn’t FreedomPop correct such a nasty error on their website. This is quite frustrating for anyone, because a customer wants to port his number away and not have to think about it, and yet FreedomPop gives a critical false instruction, leaving the customer on a dead end street. With FreedomPop these things are accepted by the customers who say they love FreedomPop. I personally can’t take it anymore and just want to get out of what I feel is an overly complex, yet limited and error prone system, with lots of hidden costs. The internet service is 500MB of free 4G data for free. On their calling plan you get 200 voice minutes, 500 texts and 500MB of 4G data for no monthly cost. If you want more minutes or internet data it will go up from there. God Bless! I love your site Peter. I don’t quite understand Freedom Pop. Is it true FPop does not use cellular towers for the cell phone service? I was told they use wifi or data for the cell phone service. That does not make sense to me. I am not good at tech stuff. Could you explain this? Someone claims if you are in an area where the data 4g or 3g is low you may not be able to use the phone service. Also I have century link for my home wifi and I pay too much. $56 every month and at times it is slow. I live in a Townhome and mine is behind all the other Townhomes. The type of internet service provided by Century Link different than Freedom Pop internet? I am a heavy streamer (I use a Roku device to watch stuff like Netflix and other channels on my Roku through WiF). Century Link gives me about I think between 9-12mbps. I would appreciate the conversion. I don’t know the difference between mbps and mb. I have a free government phone right now which is a pain. They offer $15 for unlimited talk. The free plan is 350 min which is gone now and I can not call anyone and my data is 500mb. I can’t wait hearing from you. FreedomPop does phone calls and texting over WiFi or mobile data by default. They don’t make calls over voice networks unless you’re paying for their “Premium voice” $3.99 add-on, which will then allow you to route voice calls over Sprint’s 2G voice network. In my experience making phone calls over mobile data can be tough if you’re in an area with spotty coverage, and paying for the “premium voice” add-on may be worth it. This wasn’t even an option until relatively recently. You can read my updated FreedomPop review here. It doesn’t sound like your internet is super fast, sounds like it may be DSL? My internet connection is closer to 100mbps by comparison. If you’re a big streamer, FreedomPop may not be ideal for your home internet as there are caps on data, and you’ll likely run into them relatively quickly if you stream a lot. The FreedomPop internet is better for those who use internet mainly for checking emails and surfing news sites/etc. Hey Peter, Good post on Freedompop. Have you considered adding a bit/ update on what networks Freedompop uses? We live in NE Lower Michigan close to Alpena and we are now enjoying Freedompop because they are using the AT & T network. Sprint only didn’t cut it for us in the sticks! Great detail in the writing. Keep up the great work. Oh, yeah, friend me if you want the data! Received my Freedom Pop Motorola Android. 9 out of 10 time’s google can not be reached at this time. Only 2 or 3 app’s open. Can’t get on FB. Email Freedom Pop, message received. You should get a reply in 2-3 day’s. All I want to do is return the phone and cancel my service. If you wan’t to talk to them on the phone, that cost’s $5.99 a month. If it’s free, run as fast as you can! I’m new to freedompop. Would like to share data. So far so good. Thank you. Only thing I don’t understand is: is my phone supposed to connect to my home wifi to keep from using data? Or should it be connecting to wifi through LTE – because it isn’t. I understand that phone calls don’t use data if they go through wifi. Thanks again. Just sent an invite to share data from my account. Yes, your phone should use WiFI when at home and in doing so it won’t use your data for FreedomPop. I finally got the phone set up and now understand about using my home wifi. I won’t be using very much data and will be happy to share with you if you need extra. I got the phone because it was free and plan to just keep it in the car with minimal use. Thank you to my new Freedompop friend! Added you from my second account as well. Good luck, hope it works well for you!